Not too dim, not too bright, just right. 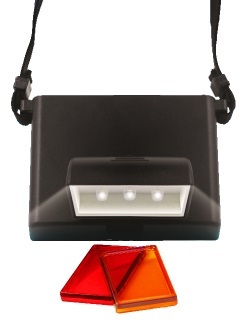 "This little light is the most useful, versatile tool I've found in a while..."
Includes 2 hook and loop fastening strips to attach light to monitor, door, wall, etc. 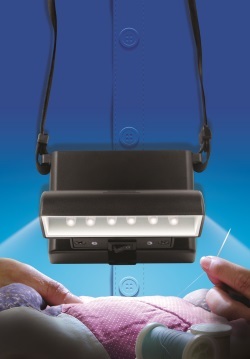 Beam n Read extra bright, non-glare, hands free light, with adjustable neck strap and long lasting Ektron bulbs. 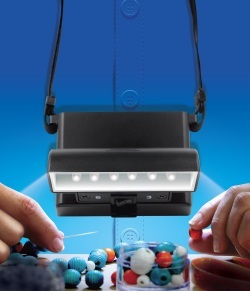 Ideal multi use light for reading, travel, camping, choirs, hurricanes, craft work, night walking, restaurants, theatre & many other uses. 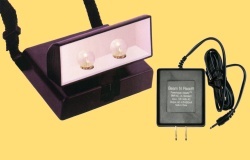 Carry it in your pocket or purse for anywhere you need light without disturbing others.